Does it support HINDI language in India? 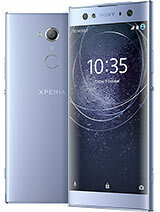 hi all... plz anyone using x8 ...tell me that how is the performance of this fone ?? speedwise? or should i buy iphone 3g or xperia x8 ????? plz help.......thankyou. [deleted post]this is *Preview*, so it's with the prototype handset, that's why it's also stated there "First look". And as you could have seen there isn't so much information about it. anyone who uses x8 reply. Well, I must say that it's a good buy. So I think this is why it's so cheap, because it doesn't have any decent accessories, or nothing at all. But, the handset I was interested in, and I have to tell you it's great. For this money, the specs are very good. The plastic body is actually nice, it's dosen't look and feel like a cheap plastic. The lock button is not like gsmarena said "More often than not it needs a push with a fingernail really", I have big fingers and I can press it with ease. The interface is great, I like it a lot. 1) What task killer are you using? I am using "task kill" and "automatic task killer". The thing is that I don't understand "task killer" because the data monitor shows something, this one is showing different. So, what do you use and how? 2) What other apps and games have you installed so far? Any advices will be welcome. If I recommend X8? No doubt, it's the best choice so far and it's cheap (despite the things I mentioned firstly). It fits between any bigger and expensive droid and the X10 mini. What I don't understand is about the review. Where is the review? They have finished the review for N8, I8700 and Windows phone 7 since the X8 was launched in stores. I have heard that SE will be coming with update version of android i.e 1.8 by october. How long will SE take to upgrade to the latest android. Every company is offering 2.1 as compared to SE. I m skipping this phone since the system is too old, and the update which is coming is also very old. Wake up SE!!! m, 12 Oct 2010hello krishh, in my connection gprs is activated i,e. airtel live and i have not subscribed... moremake a new internet profile and set the APN name- airtelgprs.com. thats it. no need to set a proxy address, port, even u can left the homepage blank. but set it to www.google.com for easy access. hope ur phone will access the net soon. i use airtel 98 gprs pack(2GB anytime). How long the battery will keep? but how do u knw that Black color is gonna come..??? For anyone unsure about this phone, or if you have never owned an SE phone, and care about updates, I recommend you skip this phone. I've been left behind with the X1, X2, X10, because SE don't update them. It's a great phone in most respects, just not in software. Ankit, 12 Oct 2010an any one tell me what they meen by Android OS, v1.6 (Donut).plz tell me price also>>>the OS is the Android Operating system, it goes like this with 1.6 ( donut ) being the lowest then 2.1 (eclair )then 2.2 (Froyo ) and the new one that will be coming out will be the 3.0 ( Gingerbread ), sorry there was a 1.5 ( Cupcake ) witch is the lowest . sunligh legibility is good not great but good. 1-screen mostly on because i was discovering android. 2-about 3-4 hours of music listening via bluetooth headset. 5-surfing the net for about 1h. 6-played jewels for about 1h. 8- played speedforge for 30 minutes . this should give you an idea of what to expect. the panels will get loose in sides if u frequently change, so be careful while changing them.